The Win8-10 do not need to install additional software. Always make sure that you have the latest drivers for the video card. Below are screenshots of the installation, with moments that you want to pay attention to the correct installation of the bot. 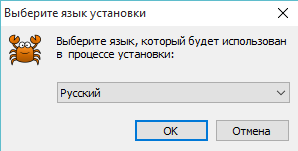 Beyond here is the window appears, click "Yes" and further Windows just follow the instructions in the Setup Wizard. Once you must go into the hangar collapse game and go to the Settings window bot. 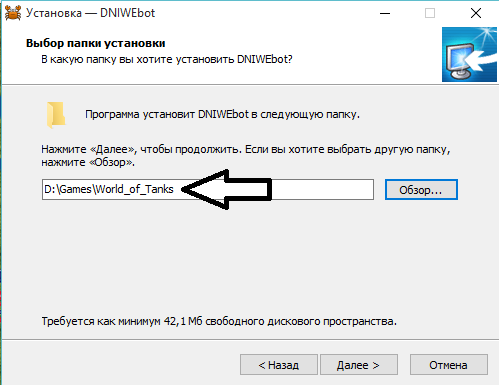 In the settings window click "UPDATE HANGAR"
After closing the window, set up the tank "Global Settings" and click "Save Changes"
3) After entering the main settings window click "refresh hangar", only then work with sorting tanks and tanks settings. 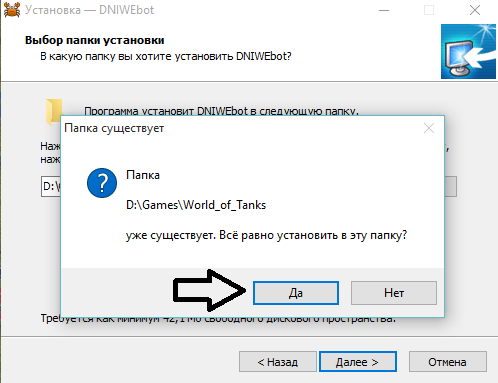 4) Exit the game to do only with the standard buttons in the game ive bot. Otherwise, you may encounter problems with non-standard closing applications. 5) Some maps need to roll the tank if it is not enough training points. Be sure to turn off the power saving mode, sleep mode, screen saver. Do not submerge your PC into sleep mode - it will create a serious problem with DNS and activation key.